Max, a successful former corporate executive and manager, had an epiphany; he was over 50 and no longer getting fulfillment in the politically steeped corporate world. For over 30 years he approached his responsibilities and his objectives in sales and marketing with vigor, passion and determination. He was responsible for selling nearly $1B in technology products and services. These attributes garnered him numerous awards and recognition for achievements well above and beyond his objectives. Now in life’s second half his passion, determination and vigor are focused on helping to guide, teach, support and inspire others for personal empowerment. Through his own life experiences of ups and downs, losses and wins, tragedies and joys, he has emerged as stronger, centered in body, mind and spirit and leading a life of total fulfillment. 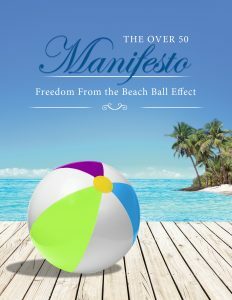 As the co-author of, Over 50 Starting Over, 50 days to New Passion and New Life, he has chosen to share his life journey to personal fulfillment, to encourage others to pursue their dreams, to follow their heart and to take the second chapter in life to truly live, to fulfill dreams and live with passion. It’s never too late to really live, it’s never too late to embrace your passion and achieve true success; success defined by how you greet each day. Max was born in 1956; he resides in Houston, Texas and Costa Rica. He has two adult sons, “Jay” and “Jody” and two beautiful granddaughters, Taryn and Alena. 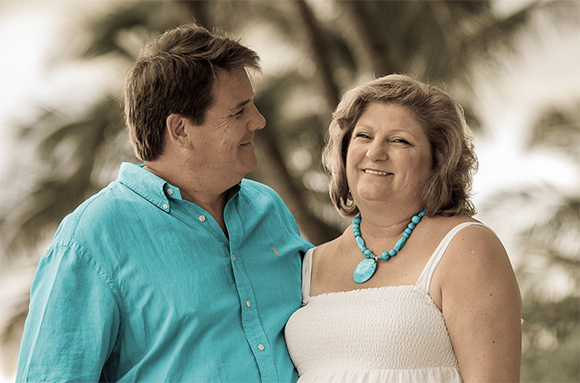 Deanna enjoyed sales and sales management in the wireless telecommunications industry for over 25 years. In 2008 she found her passion capital and established her own business where she helps clients identify their contributing value and undiscovered passion to ultimately expose their dream job. 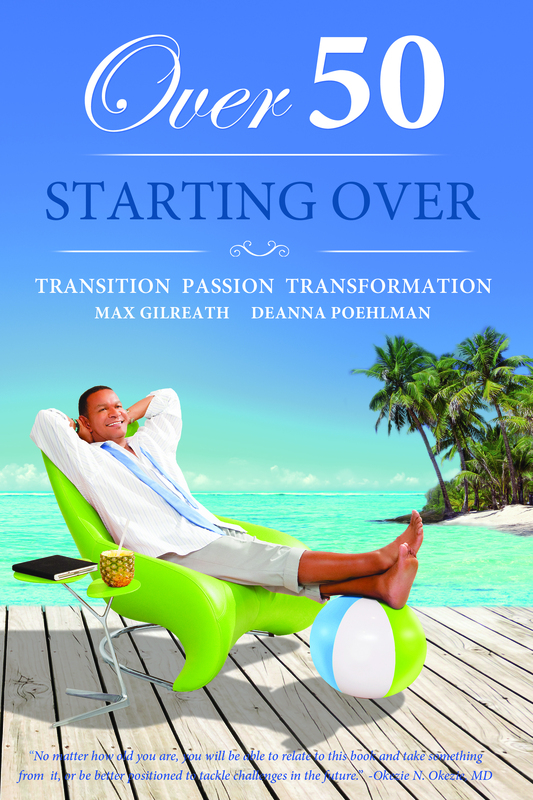 Her career coaching inspired Max Gilreath to realize his gift, calling, and value. She serves the under-employed, unhappily employed, or unemployed. She is a career coach that not only teaches how to get great jobs at top pay, but delivers the process for implementation based on the client’s unique DISC Personality Profile. Deanna lives in Cypress Texas with her husband of 29 years, Bob, along with a Golden Retriever, Bailey and a Great Pyrenees, Crash. Their two sons are Aaron, 25 and Austin, 21. Visit www.interviewpreparedness.com for more information. 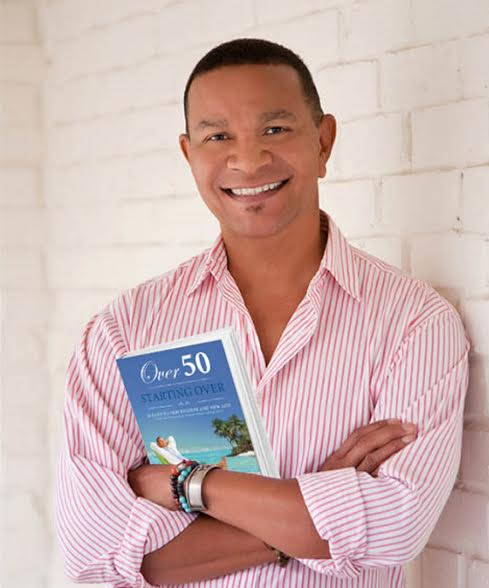 Be one of the first to know about the “Over 50 Starting Over” book launch and events. "Starting late in life? Have the attitude of what I have left over, is what more people started with"
"Appo Deepah Bhava – Be a light unto yourself." "We become immortal through what we do now"
"When you know your 'why', your 'what' has more purpose"
"You have brains in your head and feet in your shoes you can steer yourself in any direction you choose"
"The best way to predict your future is to create it!" "It's never too late to do what you should have done"
"If work was so great the rich would own it."